The skin is thinnest right under the lower eyelids. This is why many people notice dark circles under the eyes more than they notice similar issues on other parts of the body. Thin skin means that fluid buildup becomes more pronounced and accentuated. Proper skin care with Vivexin Revitalizing Eye Treatment plus changing a few things about your life will bring that youthful appearance back to your eyes. 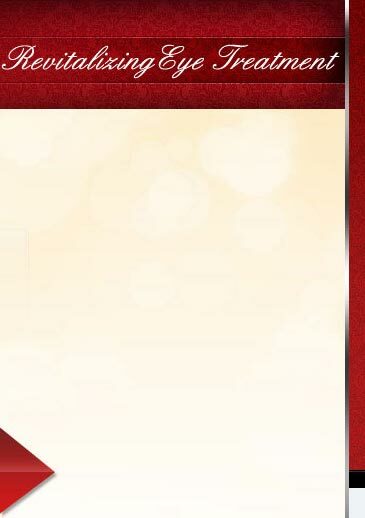 That is really the first question you need to ask. There are a number of reasons you might develop these dark, moon-like arcs at some point in your day. They can make you look older and tired. Most of the concerns associated with dark circles are cosmetic but in some cases, there may be a medical cause. These are all facts that can cause dark circles under the eyes. Addressing the underlying problem is the key to removing or reducing them. For some though, it is simply a matter of genetics. If one parent had this trademark appearance, you probably will too. The most likely cause, however, is aging. As a person grows older, the skin thins even further and lose elasticity, and the muscles lose rigidity. This allows more fluid to pool in that location. Fat also migrates there to cause puffiness and dark circles under the eyes. What to do about Dark Circles under the Eyes? The most effective plan for dealing with dark circles under the eyes is by treating the underlying cause. If you are prone to allergies, take an antihistamine. Add some extra sleep or sleep with your head at an elevated position at night. Lack of sleep can be a cause of the bags. If you're not sure why you have these dark circles under the eyes, see your doctor to rule out infection and other medical problems. Changing your position when you sleep is a practical approach regardless of the cause. When you lie flat on your back, on your stomach or side, you set up the perfect environment for fluid to pool. Instead, try sleeping on your back with your head elevated. This promotes drainage instead of fluid buildup. When dark circles under the eyes are associated with normal aging, the right skin care product will be essential. 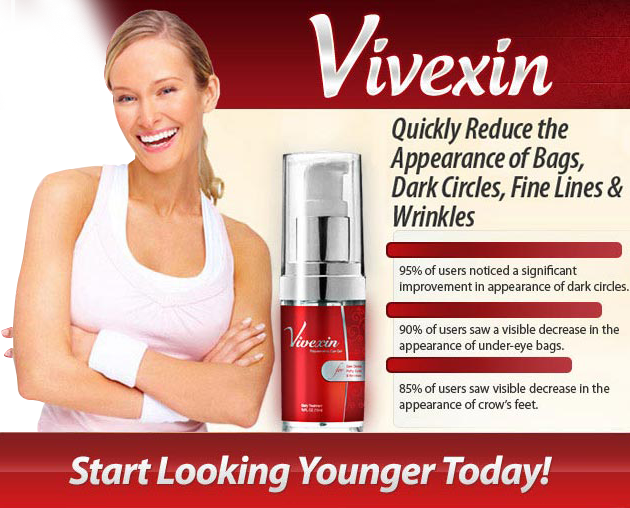 Vivexin Revitalizing Eye Treatment targets those dark areas to give you younger looking eyes. 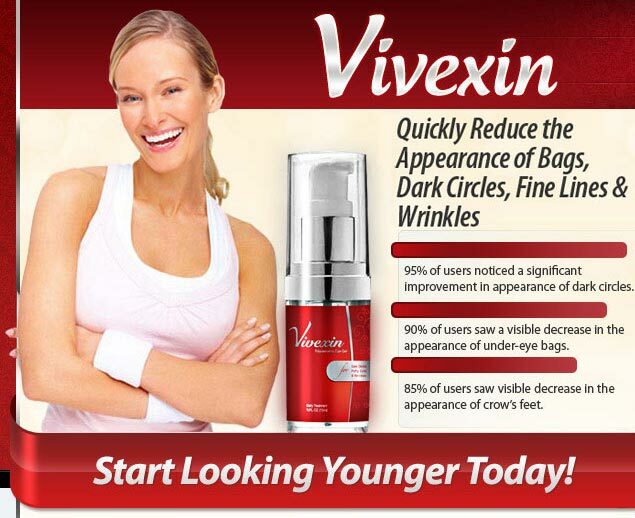 Vivexin introduces three elements to help improve the overall look of skin in this region. Eyeliss improves skin firmness and elasticity. Tightening the skin reduces the fluid build up to remove the puffiness that comes with bags under eyes. Matrixyl visibly reduces the appearance of wrinkles. Smooth skin makes eyes look brighter and bags less noticeable. Haloxyl works directly on the dark circles. The combination of these three components makes Vivexin the go-to treatment for all your dark circle and eye bag care concerns. It is a trick to keep eyes young looking but not magic. By making common sense lifestyle changes and using Vivexin Revitalizing Eye Cream, you eliminate dark circles and take years off your face.